One nit to pick about your supply assumption: unlike the first Conspiracy, Take the Crown will indeed be sold in mass market stores like Wal-mart. Per Wizards announcement on May 16, three-booster blister packs will be sold: “Look for Draft Packs in mass-market stores starting August 26 with an MSRP of $11.99.” So while I wouldn’t necessarily expect this to have the print run of EMN, it is almost surely going to be larger than the first Conspiracy, and leagues past things like EMA. Good catch! I totally missed this, and I’ll make sure to address it in part 2. Also – with regard to your supply comments. 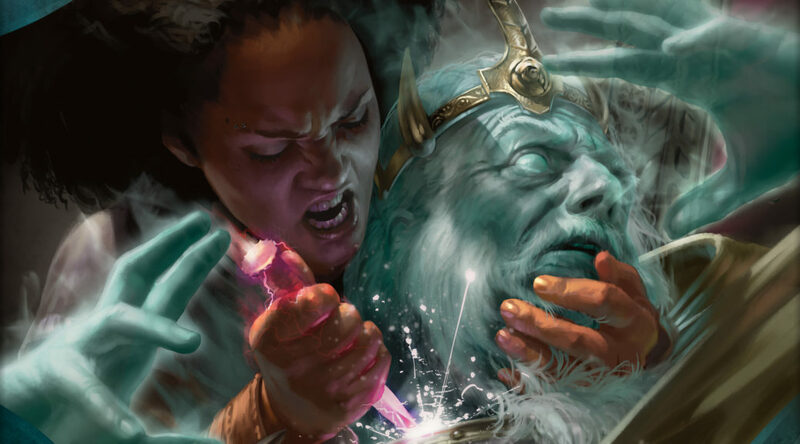 Mark Rosewater has confirmed Conspiracy 2 will be printed to demand, so it it sells well, more will be printed. There are way… WAAAAAAAAAAY WAY WAY WAY way way way way way… I can’t say enough “way’s” more casual players and casual demand out there for WOTC packs and supplemental product, than there is for competitive, or tournament-level cards. Yeah, competitive players “have” to have it so the demand is stronger, but that fact is way… WAY outweighed by the fact that there’s a kajillion TIMES more casual demand than there is competitive demand. Think about it, Magic packs are sold in Wal Mart. I think we are talking about two different types of demand. 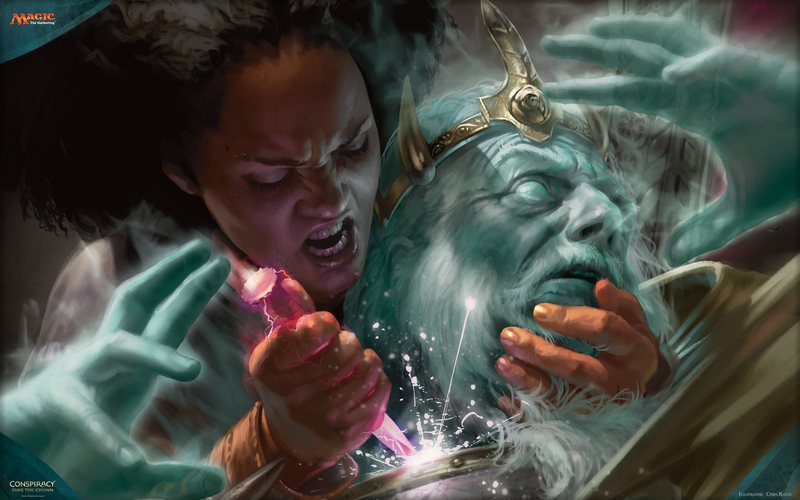 There is demand for Magic (the game) at an extremely wide level. Even though Magic has been sold in big box stores for about as long as I can remember (Onslaught? ), it definitely feels like the increase in products there is reflective of more people wanting it. However, that’s different than demand for any particular product. People who do their primary product buying are more likely to be less entrenched in the “community” (at least in the sense that any LGS is probably cheaper). Even at the game store level, I see a lot of casual players who buy product in ways that seem to not be logical. Most people buy product that is new or has some sort of pull or consensus appeal- however I’ve also seen people buy Dragon’s Maze packs because they “wanted to see what was in that set”. This is a big reason why WotC tries to telegraph branding as much as possible. I’m drifting from my point, which is that I don’t doubt that casual players won’t buy some of this, but I don’t think that they are going to be the driver for secondary singles prices. I also think they will buy this product without realizing that there could be a Berserk inside, because they probably haven’t even seen a Berserk before. Because the spectrum of what casual players like is so totally broad, and competitive demand is laser focused (in this case) on known-quantities, I think it’s a fair analysis. I think you forget new constructed cards like Sanctum Prelate and Recruiter of the Guard, which are in very high demand – especially the Recruiter, which is only a rare. 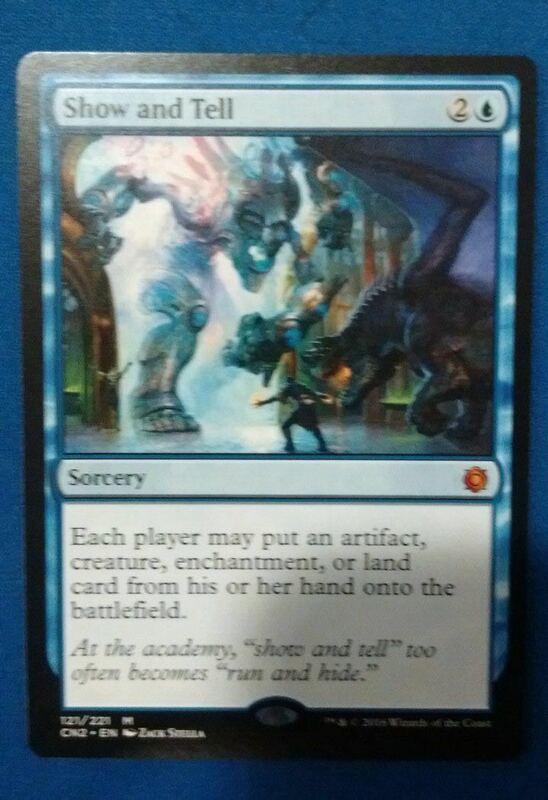 Plus there are cards like Serum Visions and Ghostly Prison at uncommon. The set is full of value, it’s certainly not just Berserk and S&T. 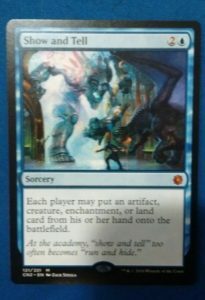 Recruiter is fascinating since it’s largely similar to its red cousin, but it doesn’t do exactly the same thing (can’t get Painter’s Servant, etc). 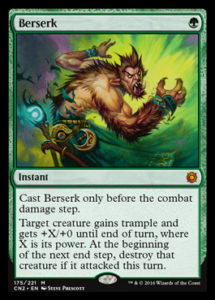 Also, Imperial has always held back Aluren decks because there were so few. 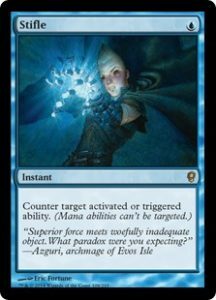 Is Aluren a great deck that was held back by lack of supply on a crucial piece? Or was it only good because so few people played it? 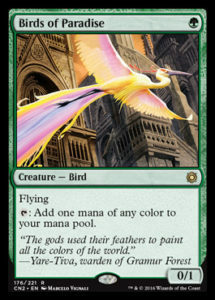 I wonder if cards like Serum Visions and Ghostly Prison were only expensive because they were so long out of print- I think this will be sufficient supply to knock them back down to Earth. Gonna talk about some of the new cards (including Prelate) next week. Not to split hairs, but if you’re running 4 berserk in your Legacy infect deck you’ve misbuilt; Most lists run 2 at most, some only 1.